With headquarters in HK and a Design and Development center in Dongguan, China, Our Factory covers more than 5000 square meters and has about 60 skilled workers, some temporary workers and several EVA case specialists in this field. 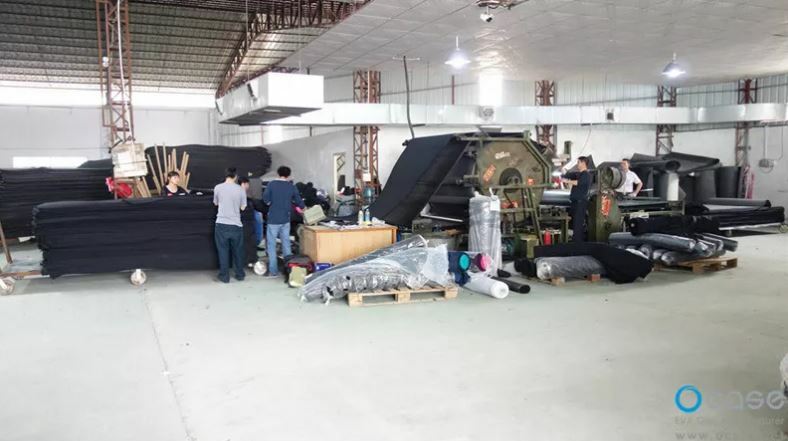 We have our own raw materials suppliers, CNC molding machine, lamanination machine, cold & hot press molding machine, all types of sewing machine and detection instruments. Factory equipped with state-of-art production facilities can present you with guaranteed quality, strong R & D ability and better service.